Description A stylish contemporary dining chair characterised by sinuous curves and rounded profiles. Veneered oak shell, either wenge stained (dark) or bleached (light). Steel tube legs with a satin finish. 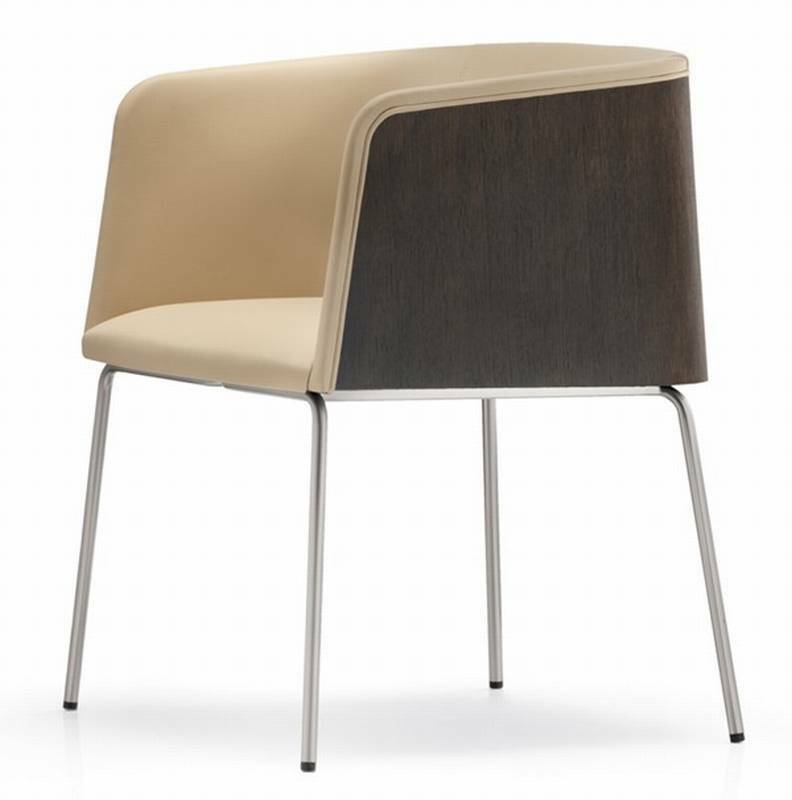 The seat is upholstered in simil leather, white (H20) or sand (H27), see samples below.